Planning your trip is easy. Use the Google Transit Trip Planner [link] and put in your starting and ending locations to learn which bus routes are closest to you. 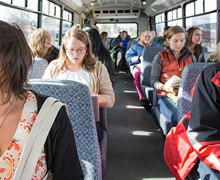 View our routes and schedules on Ride Daily. 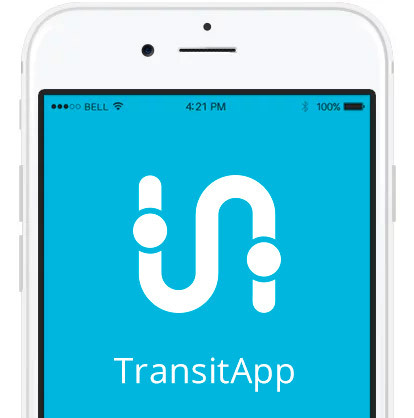 Track your bus using Transit Tracker to see how near your bus is from your stop. 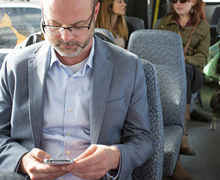 Download our real-time bus app to receive information on how many minutes remain until your bus arrives. Do you offer fare discounts? Some discounts are available for seniors and persons with disabilities on Zone 1 and for Dial-A-Ride punch cards. Two children 5 years and under may ride free with a parent. Check the Fares page for more information on discounts. 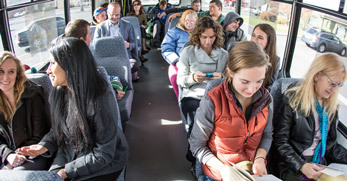 Businesses with 10 or more employees may sign up for the Group Bus Pass Program. Bus tickets are available when boarding the bus from the bus driver, exact change only. 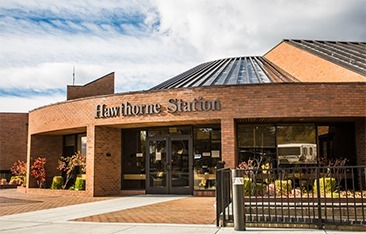 You can also purchase fares with cash or credit card at Hawthorne Station when the Market is open, as well as at the Redmond Antler office during regular business hours. Service Animals as defined under ADA regulation part 37 are welcome aboard CET vehicles and are the responsibility of the rider. Pets, comfort and therapy animals, may travel with riders when in pet carriers. Read more here. What if I accidentally left something on the bus? If you lose something while riding a bus, report it as soon as possible. Please call 541-385-8680 during business hours, provide a description of the lost item and let us know the route number, the date and time of the loss. If you find something on a bus, please notify the driver. Are CET buses wheelchair and ADA accessible? All CET buses and vans are wheelchair and ADA accessible. CET buses and vans have wheelchair lifts. Wheelchairs must be secured in the designated securement area. Read more about our Ride Assist program here. How do I request a ride with Dial-a-Ride? 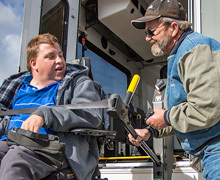 In Bend, Dial-A-Ride is a curb-to-curb, shared transit service for persons with disabilities. Low-income seniors not living near a fixed-route may also ride. To prove eligibility as disabled, low-income disabled, or as a low-income senior, the appropriate application must be filled out and returned. Visit Ride Assist [link to Ride Assist] for application materials and for more information about Bend Dial-A-Ride. Rides may be scheduled as soon as application materials are sent in. 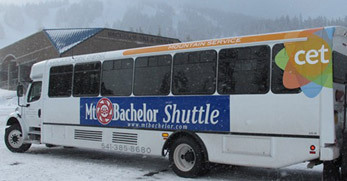 Call 541-385-8680 for ride reservations. 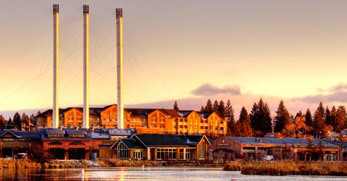 Dial-A-Ride may also be used in rural communities across the region: La Pine, Redmond, Sisters, Prineville, Madras, and Warm Springs. 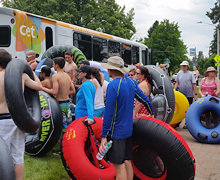 This service is open to the public and no eligibility requirements are necessary to ride. 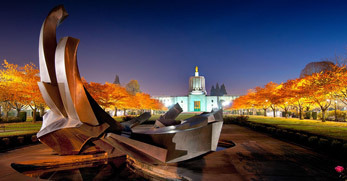 Call 541-385-8680 the day before to assure a ride. Can I eat food and drink beverages on CET buses? Eating is not allowed on CET buses. Drinks in spill-proof containers are permitted on CET buses. Fares are determined by which zone you are traveling in. View the zone map to determine which zone you are traveling in and then click on the route, which will tell you how much your fare will cost. Can I purchase bus fares online? Online purchases are now available for most fares on our website. Visit the fares page to select which passes you would like to purchase. You may also purchase fares at Hawthorne Station, at the Redmond Antler office or from a bus driver on any bus with exact change. Do you operate a COCC shuttle? If you have a question not answered here or on our website, our call center can answer any questions you have about riding Cascades East Transit. Call 541-385-8680. How do I load my bike onto the bus bike rack? When facing the bus, there is a yellow handle in the center of the rack. Squeeze the handle to allow bike rack to fold down (towards you). Lift bike onto rack so the wheels are set into their designated place. Pull black handle next to wheel towards you, bring it up over the wheel and release. The holder will tighten around the wheel and hold the bike in place.